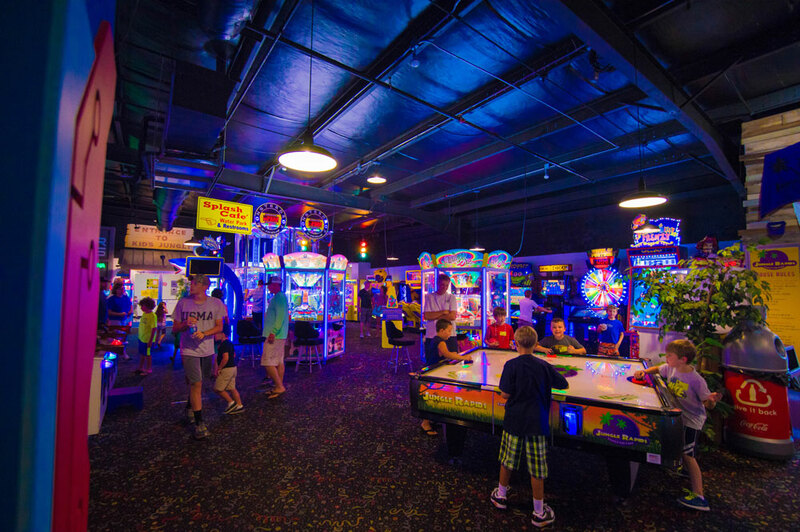 Come in and test your skills in our HUGE arcade. Be sure to check out our newest game Time Freak! Load up your Jungle Fun Card, swipe the reader on the game and hit the start button. Playing games has never been this easy! No need to wait for old paper tickets to dispense because your credits are digitally loaded onto your Jungle Fun Card. Get your re-loadable Jungle Fun card for a only 25 cents. Register your fun card at any of our 3 Fun Card Kiosks and receive a $1.00 bonus added to your card automatically. The Jungle Fun Card is here! Register your Jungle Fun Card at the Kiosk so if your card is lost we can issue you a new one with all the credit that you would have otherwise lost. Registering your card is easy and requires minimal personal information (your name, email, and zip code). Simply walk up to the kiosk, tap the “add or update details” button and just follow the prompts from there. If you take these 2 minutes to register your card you will be rewarded with $1.00 in bonus credit to be used in the arcade. Our Game Attendants are always ready and willing to help, so please feel free to stop one of us if you have any questions about the new system.